Anvil plays the Jam at 6:30 p.m. on Monday, April 8. This week has a lot of jazz, a decent smattering of heavy metal and some festie-friendly electronic acts in the pipeline. Some big names are in the mix, as well as some promising young upstarts. 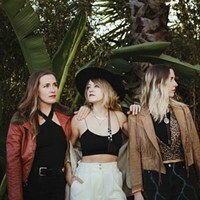 Local musicians who have done well for themselves in the world play some home sets, while bigger names from the world stage tread the redwood boards, as well. For those of you who are still capable of trusting me after last week's unfortunate Neil Young mix-up (Editor's note: That was, indeed, an April Fool's prank), trust me, this week has some great shows. In fact, I plan to overcome my occasionally severe introversion to enjoy at least a couple of these performances with good company. Perhaps I'll see you out there in between the raindrops. For now, I've got an earful of spring rain and Mort Garson's splendid '70s oddity album Plantasia to keep my evening in its proper niche. Have a very vernal week. Kalispell, Montana's Wizzerd is a doom metal quintet specializing in down-tuned and stoned heaviness. Tonight its tour swings through Eureka and the band will grace the diminutive stage at the Little Red Lion with a very fine local pairing in the form of Ultramafic and FHOG aka Finger Hash of the Gods at 8 p.m. ($5). Avant jazz violinist and Petrolia native Jenny Scheinman brings a unique show to the Arkley Center for the Performing Arts at 7:30 p.m. Produced with help from the folks at the Arcata Playhouse and the Minor Theatre, Kannapolis: A Moving Portrait is a live performance soundtrack to a film by Finn Taylor featuring the mid-century small town American photography of H. Lee Waters. Scheinman will be using her voice and fiddle for the score, accompanied by skilled multi-instrumentalists Robbie Fulks and Robbie Gjersoe ($28 general, $25 Humboldt Folklife and Arcata Playhouse members, $15 children 12 and under). Santa Barbara Math Rock trio Pookie makes the trip north to rattle the decor off the walls of the Outer Space tonight at 7 p.m. ($5-$20 sliding scale). 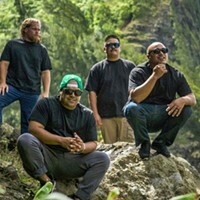 Arcata prog outfit Farmhouse Odyssey will play a set while local singer, songwriter and bookseller Gabe Lubowe squeezes onto the bill, as well. Speaking of squeezing and books, this gig will be bookended on either side of the hour by two performances at Fulkerson Hall by Delfeayo Marsalis and the Uptown Jazz Orchestra. The two shows, at 6 p.m. and 8 p.m., will feature the trombonist son and brother of one of New Orleans' royal families heading up a 16-piece jazz orchestra staffed with world class players ($66). Anvil is a Canadian metal band that almost made it big but never quite did. 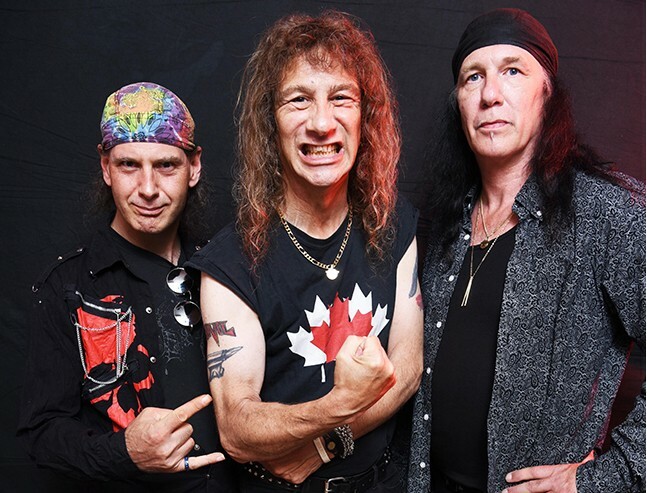 The Canadian trio — whose sound nests somewhere between hard rock, power metal and early thrash — was the subject of an acclaimed documentary a decade ago about the barnacle-like resilience of the group and its multi-decade career. Though it might not be a household name, Anvil is a world-class group. Which makes it extra special that the band will be playing the Jam tonight. ($15). Along for the ride are VH1 metal comedian Don Jamieson, Santa Cruz metal act Archer Nation, and local bangers Dullahan. The whole thing kicks off at 6:30 p.m. and to paraphrase Deaner from the Canadian metalhead mockumentary FUBAR, this night is the soundtrack to givin' er. It's a quiet Tuesday so why not go and give The Logger Bar some love? At 8 p.m. the regular old time music session will be crackin' off. How's about you bring your favorite wireless — unless that wire is of the piano variety — instrument to the sawblade embedded floors of Blue Lake's other social hub and have some free fun. Portland electronic funk dance trio Yak Attack is playing Humbrews this near-first moon night at 9 p.m. Known for fun and danceable shows full of solid musicianship and improvisation, this is the sort of show that attracts the happy-go-lucky college crowd and beyond. As of press time, I haven't located a price for the event but this reporter figures it won't be much over $20 and likely under. It's pure speculation but I'd take those odds. Collin Yeo would like to say rest in peace to the late Nipsey Hussle, murdered last week. He lives in Arcata.